If you want to make sure you have a healthy tree, it’s important that it receives the best care it possibly can. Tree limbs of course can be lopped or pruned. A pruning service will make sure to use a strategic plan for any trimming done, which in turn allows for longer lasting health and the opportunity to flourish. As such, it’s your responsibility to choose the best possible person or agency to look after your trees. Only the most highly skilled professionals can assure that your trees will be well taken care of. Arborists in particular are worth working with due to their experience, skill set, and professional equipment. If you want to make sure that your tree remains as healthy as possible after pruning, the work of an Arborist is the safest bet. Only with the most professional care can you adequately guarantee that all cutting is done properly. It’s somewhat rare to come across someone that will hire any old tree lopper if they truly care for their trees. Even so, some property owners just aren’t aware of the downsides of these cheaper services. The vast majority of tree loppers have no certifications or proper training. There’s a lot of guess work in their pruning and sheering, leading to over-cutting and improper handling. This will open up your tree to diseases and the potential for stunted growth. The tree’s life cycle could also become vastly diminished. There is a science behind appropriate tree trimming, and that’s something many of the loppers don’t have much of a handle on. As such, harmful and uneven cuts are often a given. The cheap services might help your wallet or bank account out, but you’ll be left with less visually appealing trees that are likely not to flourish. If you don’t trust an amateur doctor to see about your personal health, then you should refrain from allowing an amateur handle your trees. Trees are most often found in the yards of houses, school yards, and urban environments such as parks. If a tree isn’t taken care of and begins to die off, it stands the risk of falling and harming the surrounding property. Many cars are crushed by trees, and animals and humans have also fallen victim to the same. If you need one reason above all others to make sure your trees are cut by professionals, look no further. Only the most well skilled personnel such as an Arborist can assure the safety of the tree and its surroundings. Furthermore, the agency that your Arborist works on behalf of can also send out technicians and landscapers to provide the best possibly results for your entire yard. They will also take on full responsibility for any damages done to the premises, a luxury you’ll seldom find from any self-employed tree lopper. The safety of your property and anyone occupying it always be left up in the air after work done by tree loppers. They rarely have the expertise or tools necessary to do the job properly. If you have an emergency situation with your tree, it’s of the utmost importance that you entrust it with a professional. More often than not, an unskilled lopper will only make the problem worse. 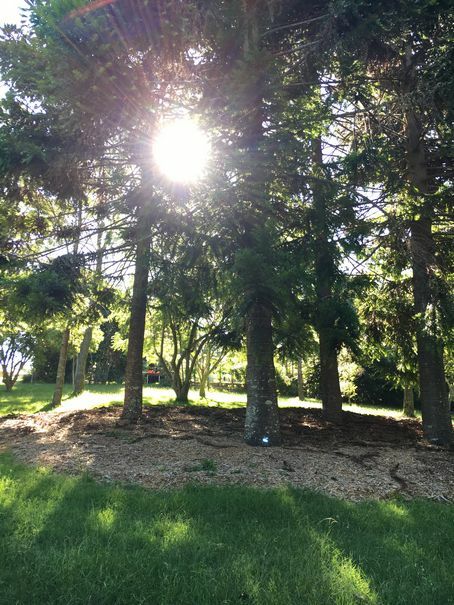 Only Arborists and professional tree services can determine the best possible way to deal with any situation you currently have with your trees, and they’ll be able to act on it more effectively than anyone else. Working with them is more than worth the investment.